George Saunders is the author of three collections of short stories: the bestselling Pastoralia, CivilWarLand in Bad Decline, a finalist for the PEN/Hemingway Award, and In Persuasion Nation, one of three finalists for the 2006 STORY Prize for best short story collection of the year. Pastoralia and CivilWarLand in Bad Decline were both New York Times Notable Books. Saunders is also the author of the novella-length illustrated fable, The Brief and Frightening Reign of Phil and the New York Times bestselling children’s book, The Very Persistent Gappers of Frip, illustrated by Lane Smith, which has also won major children’s literature prizes in Italy and the Netherlands. His most recent book, The Braindead Megaphone, is a collection of essays. Raised on the south side of Chicago, Saunders has worked as a technical writer and geophysical engineer. He has also worked in Sumatra on an oil exploration geophysics crew, as a doorman in Beverly Hills, a roofer in Chicago, a convenience store clerk, a guitarist in a country-and-western band and a knuckle-puller in a West Texas slaughterhouse. His stories have won the National Magazine Award for Fiction in 1994, 1996, 2000 and 2004 and the World Fantasy Award. He contributed the weekly column American Psyche to the Saturday magazine of The Guardian. He is a recipient of the MacArthur Foundation’s “Genius” Award, and he has appeared on “The Late Show with David Letterman,” “The Colbert Report” and “The Charlie Rose Show.” His satirical stories and nonfiction critiques of consumer culture appear regularly in The New Yorker, GQ and Harper’s Magazine, and have appeared in the O. Henry, Best American Short Stories, Best Non-Required Reading and Best American Travel Writing anthologies. In 2001, Saunders was selected by Entertainment Weekly as one of the 100 top most creative people in entertainment and by The New Yorker in 2002 as one of the best writers 40 and under. Two of his works are in the process of becoming films, and his story “CivilWarLand in Bad Decline” is currently in development with Ben Stiller’s Company Red Hour Productions. 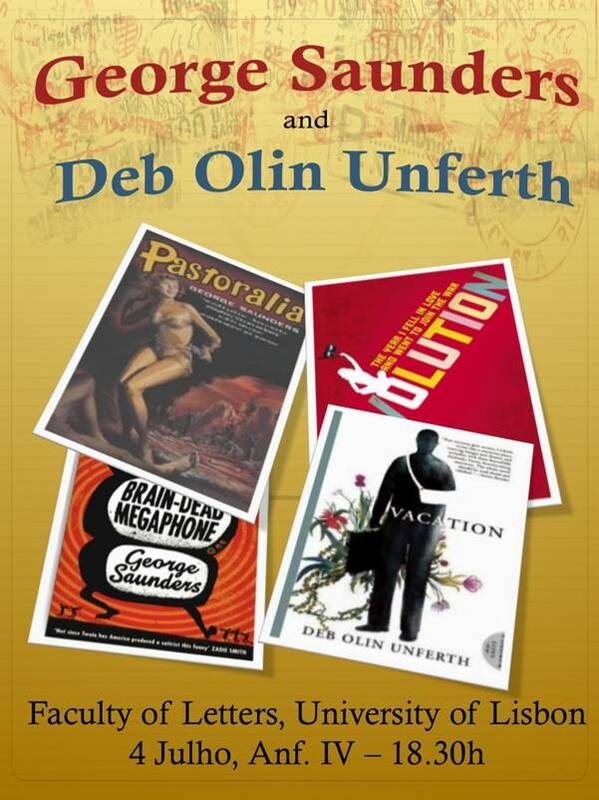 Deb Olin Unferth is the author of the memoir Revolution: The Year I Fell in Love and Went to Join the Sandinistas, a New York Times Critics’ Choice, the story collection Minor Robberies, and the novel Vacation, winner of the Cabell First Novel Award. Her work has been published in Harper’s, McSweeney’s, The Believer, the New York Times, the Boston Review, and elsewhere. She has received two Pushcart Prizes and a Creative Capital Grant for Innovative Literature. She teaches at Wesleyan University.